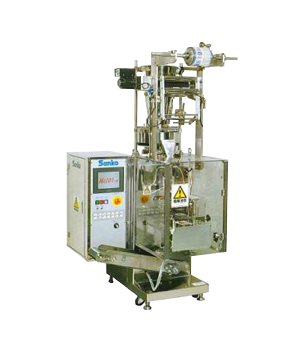 The MC101, MC303, SV101, and SV303 are vertical type three-side-seal packaging machines. Thanks to a built-in microcomputer, setting of the pitch can can eaily be changed. 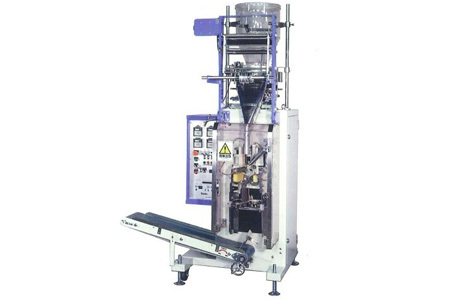 The machines can be connected to a variety of material feeding devices and peripheral devices including volume gauges and auger fillers. 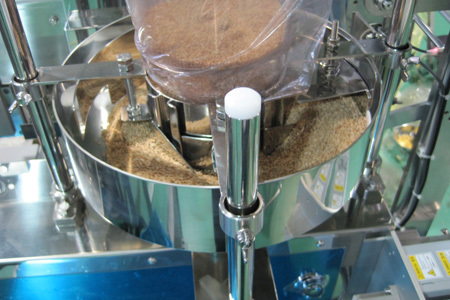 All four are suitable for packaging condiments, powders and granules and more. The outstanding versatility and ease-of-operation puts the MC101 at the top of the best seller list. 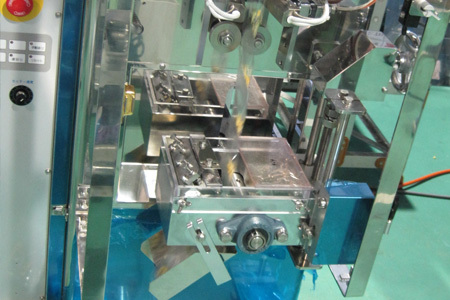 Changing the length of bags and photo cell control can be set via a simple operation through the built-in microcomputer. 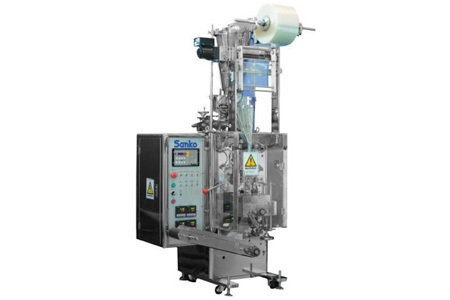 The volume of material packed can also be easily changed. 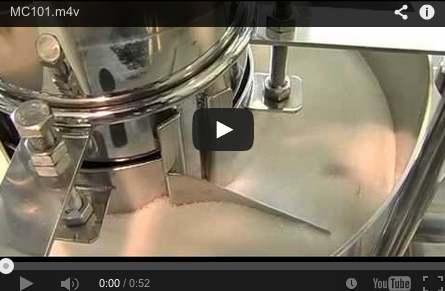 The MC101 can easily handle fine powders through the use of an optional auger filler. The MC303 is suitable for handling large packages with the same operability and versatility characteristics as the MC101. While both feature similar functionality, the MC303 also has a standard measuring instrument which is dial-adjustable, so fine adjustment of charge can be made easily during operation.